This is at the very heart of socialization. This is my interpretation Bakhtin’s quote. We are all a product of our environment and thus various social classes. Our very own identities are based on what others classify us as being. Only through the eyes of the majority of others do we determine our very own identities. People tend to gravitate towards others with whom they have common interests. People tend to have a meeting of the minds with other people who are on the same level of thought. This distribution of information is significant to the relationship sustaining itself between each individual. Identity is formed through who we desire to be like. We have idols and we have heroes. I like to surround myself with positive people who are ambitious and are constantly looking to improve on their similar interests as mine. 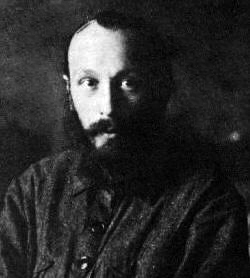 Bakhtin’s Quote: “I must find myself in another by finding another in myself.” These social circles tend to help motivate me in my pursuits in life as if they were medicinal in nature. We tend to feed off of each other’s ideas and from those ideas we derive new ones. I also think that Bakhtin’s quote is flawed in this sense. Infamous Individual’s, who are known for their notorious crimes on humanity, are at the very heart this anomaly of Bakhtin’s quote. Individuals like Jeffrey Dahmer, Ted Bundy, and the Unabomber are individuals that opposed the very idea of Bakhtin’s quote. As mentioned earlier, the “Unabomber” is a unique individual that lived in isolation for many years. Bakhtin’s quote: “I must find myself in another by finding another in myself.” The Unabomber is a great contrast to Bakhtin’s quote.